This article is reposted from PCWorld. Backblaze’s data may look like making your next drive a Hitachi is a no-brainer, but it’s important to remember that Backblaze runs drives harder than the average PC user ever could. So while Seagate products may go down all the time at the company, a PC user may never notice a problem during the lifetime of their PC. 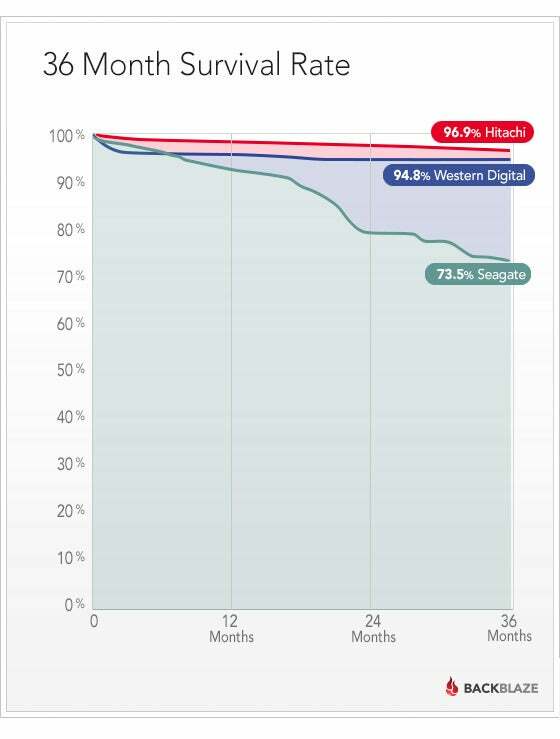 Your risk of a complete hard drive failure over the long-term might be higher with Seagate than Hitachi, Backblaze’s numbers suggest at first glance but there’s no guarantee that will happen. In fact, Backblaze’s earlier study showed that hard drives are actually pretty reliable overall over a four-year stretch, even in a server farm. 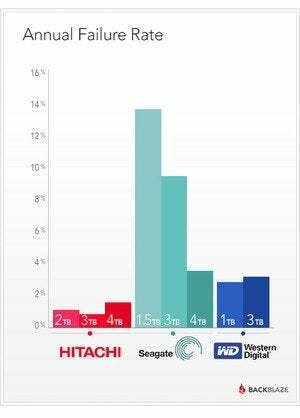 And hey, a number of individual Seagate models actually had a longer average age than Hitachi products! 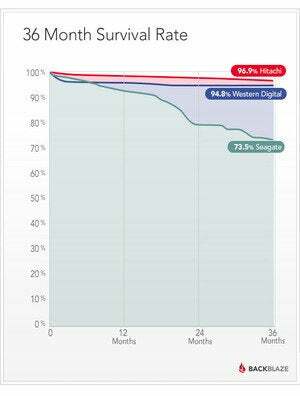 Maybe the lesson from Backblaze’s data is that choosing the right hard drive is all about tradeoffs. (Isn’t it always?) Nevertheless, it’s an interesting look at the reliability of many internal hard drives you might be considering for your next PC. Be sure to check out the full Backblaze post if you want to dive even deeper into the nitty-gritty numbers.